Yap Min Shuen enrolled to e@Robotclub robotics course at e@Robotclub Mount Austin, managed by Masterline Technology Enterprise. 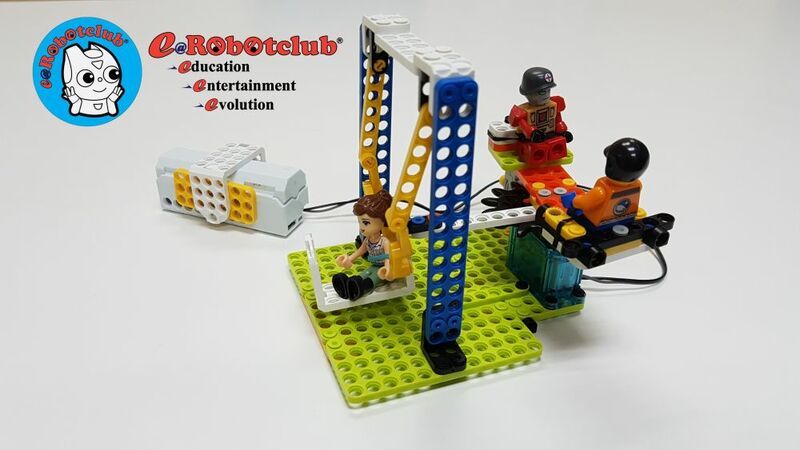 Today, he used ROBOTIS Dream II Level 1 Kit to make his project named 'Automatic Swing'. 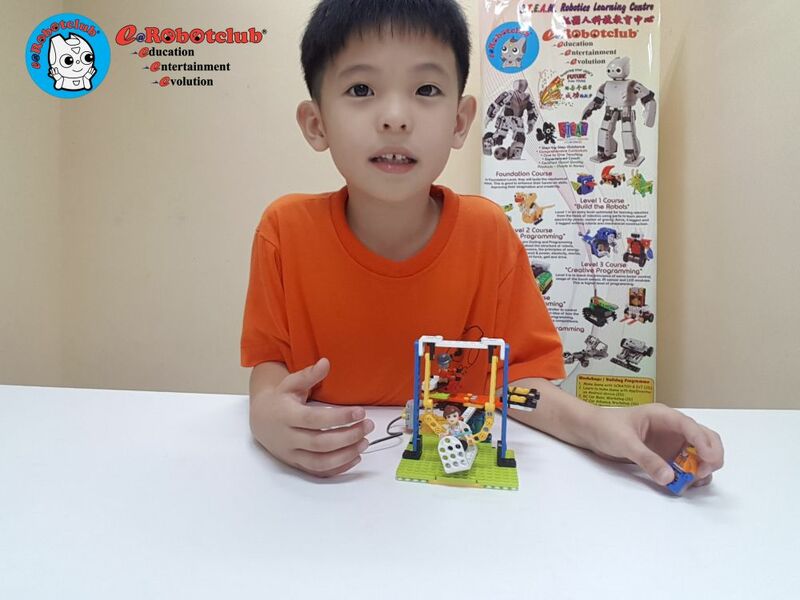 Robot characteristics: Min Shuen, who loves to play swing, used to ask his mummy to push the swing for him.He has came out with the idea of automatic swing to reduce his mum’s work load. He maximize one motor to do two jobs, one is to rotate the roundabout, secondly is to push the swing.